Old deck stains can present a challenge to anyone wanting to refresh a deck, but you don’t necessarily need to completely return your deck back to “like-new” condition to refinish it. Instead, follow these steps. A thorough evaluation of your deck will determine whether or not you need to remove the old stain and how to proceed. If the new finish will be lighter (more transparent) than the old finish, you need to remove the old stain. Otherwise it will show thorough. 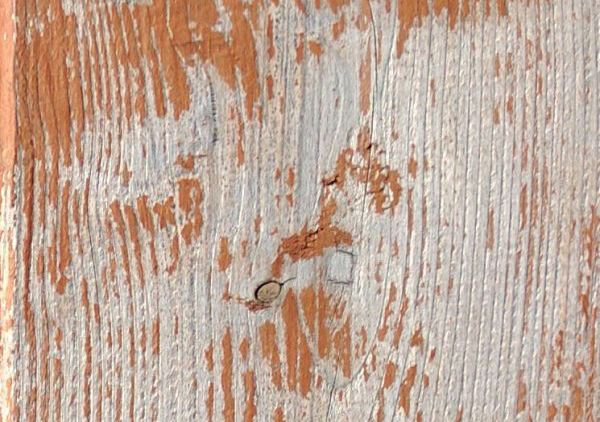 If the new finish will be a dramatically different color, then remove the old stain. Otherwise, the old color can affect the look of the new color. If your deck shows significant wear and tear (through usage or weather-related factors), then you should remove the old stain to smooth out the surface and repair any damage. If none of these conditions exists and there’s no noticeable cracking, peeling, or other stain flaws, you might consider simply sanding out any imperfections to begin the staining process. When removing old stain, use the best-quality product you can find, and follow the directions on the product. In general, follow these steps. Make sure the surface is dry. Apply a generous amount of wood stripper to all surfaces. I recommend using a polyester brush, roller, or sprayer. Use a sodium-hydroxide based wood stripper, NEVER a methylene-chloride based or other “paint” stripper. It works well and usually succeeds with one application. Be careful, though, as wood strippers are caustic and can burn your skin and eyes, kill plants, and harm pets. Allow the wood stripper to set for 15 minutes. Remove the stripper and stain remnants. You can use a pressure washer at 1000 to 1200 psi to accomplish this; however, pressure washers might damage the wood. Take care to scrub in the direction of the wood grain with a stiff bristle brush. Then rinse the deck with plenty of water in the direction of the wood grain. Sometimes the old stain will not remove evenly across the deck. Don’t hesitate to strip problem areas again until the wood is ready to refinish. After rinsing the wood, ALWAYS neutralize and brighten the wood with a premium, acid-based wood brightener. This will best prepare your newly-stripped deck for refinishing and prevent the caustic effects of the wood stripper from being reactivated.